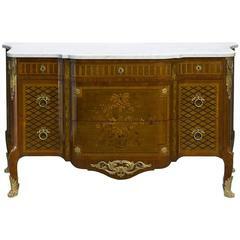 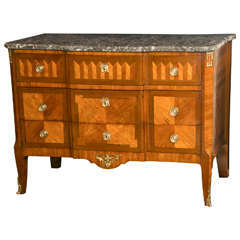 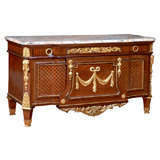 French parquetry commode with ormolu and marble top. 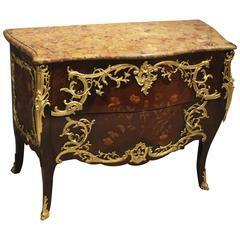 Italian mahogany and bronze eight-drawer commode. 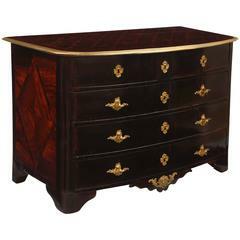 An Italian eight-drawer mahogany and bronze mounted commode resting on turned legs. 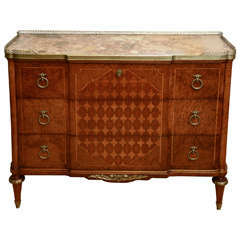 Mid-19th century French parquetry commode of a geometrical square pattern, rounded corners, white marble top and original brass fittings. 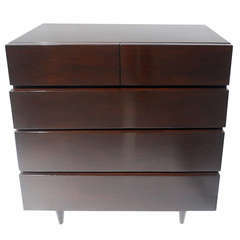 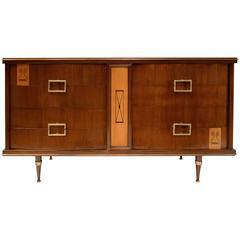 Measures: 36" W x 19" D x 33" H.